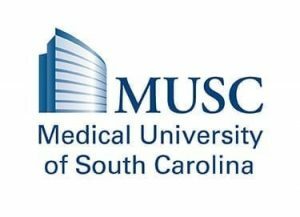 The Medical University of South Carolina (MUSC) and Medical University Hospital Authority (MUHA) Board of Trustees held their regularly scheduled meeting to receive reports on academic programs, research and clinical operations. In an effort to temper costs for students and families, the MUSC board voted unanimously to hold in-state tuition rates for fiscal year 2020 at the same levels as fiscal year 2019. The hold on in-state tuition rates applies to all six MUSC colleges. On Match Day 2019, the College of Medicine successfully matched 99 percent of its 167 first-time applicants to a residency position. The national match rate was 93.9 percent. U.S. News & World Report currently ranks the College of Nursing No. 6 among the Best Online Graduate Nursing programs overall, No. 3 among public universities, and No. 2 among the Best Online Graduate programs for veterans. Additionally, the Doctor of Nursing Practice program ranks No. 14 in the publication’s 2020 Best Graduate Nursing Schools list. The College of Pharmacy 2019 residency match ranked in the top 20 percent of all Pharm.D. programs. The College of Health Professions has two programs ranked in the 2019 U.S. News & World Report standings. Its Master in Health Administration program is No. 20 out of 75 ranked schools, and the Physician Assistant program is No. 46, placing it in the top 20 percent of 240 accredited PA programs across the nation. All six of the underrepresented minority students who recently graduated from NIH PREP, a post-baccalaureate program in the College of Graduate Studies, will begin their Ph.D. programs this fall. The College of Dental Medicine received donations to purchase a 3D metal printer, transformative technology that allows custom titanium and cobalt chrome devices to be fabricated and tested. Specialists will be able to create frameworks, crowns, bridges and hybrid prosthetic substructures instead of using traditional casting methods. 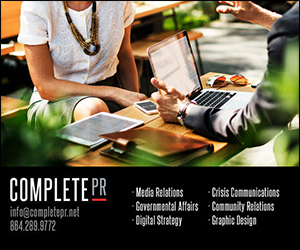 Cole also advised the board that the MUSC Access advertising campaign recently won Best of Show at the 2019 American Advertising Awards local competition in Birmingham, Alabama, and a Gold ADDY Award in regional competition for District 7. 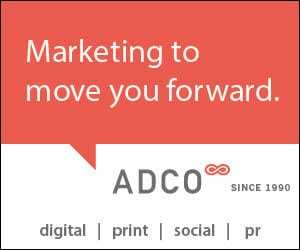 The national ADDY Awards competition, which recognizes excellence in advertising, will be held in Orlando, Florida, from June 5 to 8. Linda Cox, interim vice president for Development and Alumni Affairs, told the board that since the start of its fiscal year, July 1, 2018, MUSC has raised more than $32.7 million in new gifts and pledges. 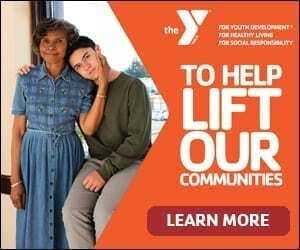 Contributions were made to a variety of MUSC colleges, departments and programs; however, a significant portion of the funds were donated to support the new MUSC Shawn Jenkins Children’s Hospital. Scheduled to open in the fall, the $389.1 million hospital will provide the most technologically advanced facilities available for the children of the city, state and region. Kathleen Brady, Ph.D., vice president for Research, updated the board on how a multi-pronged research and outreach program, started about two years ago, is helping to address the opioid epidemic in South Carolina. MUSC research teams are working in partnerships with S.C. Department of Health and Human Services and S.C. Department of Alcohol and Other Drug Abuse Services, and using federal funds in an effort to improve knowledge about opioid prescribing and improve access to care for people across the state who have opioid use disorders. Brady noted that for the past two years, the number of opioid prescriptions went down in spite of the fact that the state has increased its population by about 500,000 new residents. Plus, slight decreases in opioid-related overdoses have also been recorded. Brady also shared the results of a recent economic impact study, conducted by the College of Charleston, which shows that the $276.3 million in research funding earned by MUSC in fiscal year 2018 translates into more than $556.2 million in total economic impact across the state. For details see the attached summary. A resolution related to the new MUSC Regional Health Network, which comprises the four hospitals in Chester, Florence, Lancaster and Marion counties. 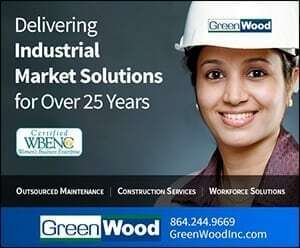 The board approved submitting an application for a particular type of mortgage insurance; confirmed they will enter into a HUD regulatory agreement and abide by certain standard covenants, as MUSC Health currently does; and authorized commission of a feasibility study to accompany the financing application. Acoustical improvement of the atrium for the College of Health Professions Building A. Confirmation of an experienced firm to provide construction manager at risk services for the College of Pharmacy addition and innovative instructional redesign project. A new lease agreement for some 7,723 square feet of clinical space for a multispecialty clinic at Tidelands Health in Waccamaw. The lease represents an effort to consolidate disparate leased space into a single existing location. The consolidation will achieve greater efficiencies by offering a range of services at one location, including vascular surgery, general surgery, neurosurgery, OB-GYN, pediatric cardiology, pediatric gastroenterology, pediatric neurosurgery and telehealth. The MUSC/MUHA Board of Trustees serve as separate bodies to govern the university and hospital, holding two days of committee and board meetings six times a year. For more information about the MUSC Board of Trustees, visit:http://academicdepartments.musc.edu/leadership/board/index.html. Founded in 1824 in Charleston, MUSC is the oldest medical school in the South, as well as the state’s only integrated, academic health sciences center with a unique charge to serve the state through education, research and patient care. Each year, MUSC educates and trains more than 3,000 students and 700 residents in six colleges: Dental Medicine, Graduate Studies, Health Professions, Medicine, Nursing and Pharmacy. The state’s leader in obtaining biomedical research funds, MUSC brought in more than $276.5 million in fiscal year 2018. MUSC and its affiliates have collective annual budgets of $3 billion. The more than 17,000 MUSC team members include world-class faculty, physicians, specialty providers and scientists who deliver groundbreaking education, research, technology and patient care. For information on academic programs, visit musc.edu.